See how your accounting system is hurting your business, and what you can do about it. For most small and midsized enterprises (SMEs), it makes good sense to get started with basic accounting software. The challenge lies in recognising the right time to make the switch. Once you're immersed in day-to-day operations or the busyness of managing seasonal demands, it becomes easy to ignore the early red flags of trouble ahead. 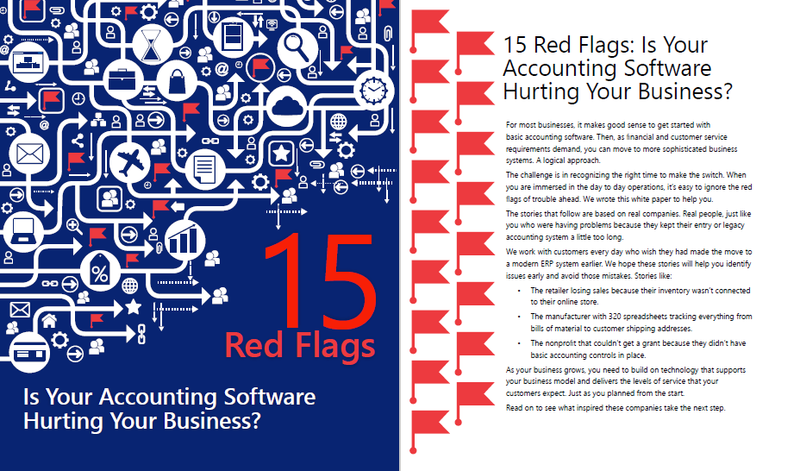 In this free whitepaper, you'll learn the 15 most common accounting software-related symptoms affecting businesses, and what you can do to resolve the issue. Simply fill out the form to download your free guide today.